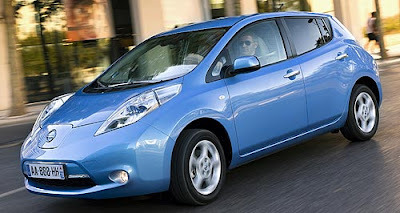 Nissan has introduced the first mass-produced, purpose built electric car to the Australian market, the LEAF. The Nissan LEAF is priced at $51,500 MSRP and is available now from 13 LEAF accredited Nissan dealerships across Australia. Even without any meaningful government EV incentives, Nissan is confident of selling at least 300 Leafs in its first year on sale, with fleet business accounting for between 60 and 70 per cent of volume. Currently there are 37 firm orders, but Nissan Australia expects the publicity surrounding the car in the wake of its Australian media launch in Sydney last week to prompt people into visiting the 13 dealerships handling the car. To help stimulate interest, a $599 monthly lease package with a guaranteed buyback feature is being introduced, as well as a three-year free subscription to Nissan’s ‘Carwings’ in-car communications and telematics service. Token government gestures to help people into EVs include no stamp duty in the ACT and $100 off Victorian annual registration – though these pale against the significant tax, toll road and parking discounts or exclusions (among other incentives) offered abroad. The company has partnered with energy company Origin as its preferred provider of charging services, which means that Leaf buyers will have the option of having Origin's charging equipment installed in their garage. Each Leaf dealership has a ‘Level Three’ 400V fast charger that provides up to 80 per cent battery capacity in around 30 minutes.